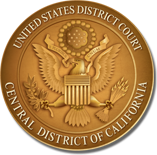 The United States District Court for the Central District of California will remain open during the partial government shutdown and can continue funded operations by using court fee balances and other “no-year” funds through January 31, 2019. The Court will continue to hear and decide cases without disruption, accept new filings and process them in a timely manner. All proceedings and deadlines remain in effect as scheduled, unless otherwise advised. The Court’s Case Management/Electronic Case Files (CM/ECF) system will remain in operation for the electronic filing of documents with the court. If the shutdown were to continue past January 31, 2019, the Judiciary will operate under the terms of the Anti-Deficiency Act, which permits mission critical work. This includes activities to support the exercise of the courts’ constitutional powers under Article III, specifically the resolution of cases and related services.